....to offer irrigation systems to Jaleshwari subsistence farming families to increase food security and enable them to generate a surplus to sell at market. This income will enable them to pay school fees and uniforms, and contribute to community funds such as health care. .....to offer solar panels and educational resources to a further three schools in the Jaleshwari area. 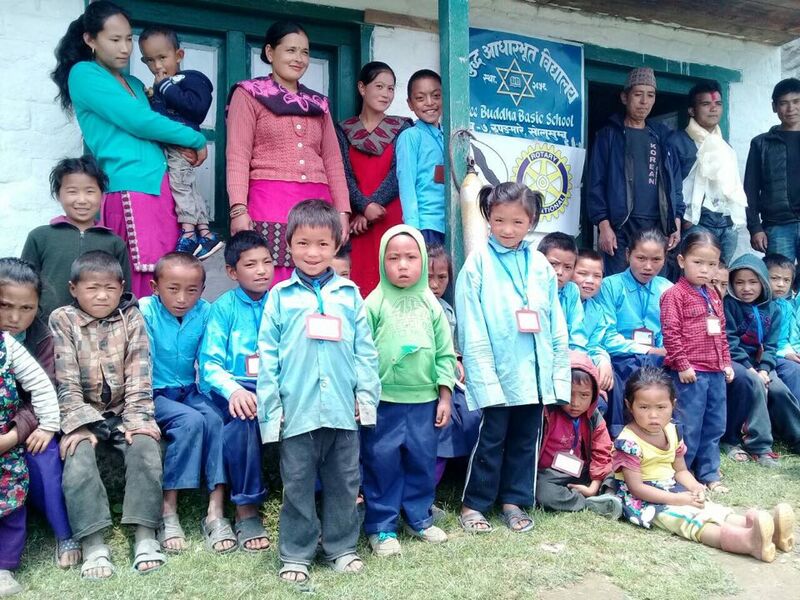 Nepalrvt is a small, family-run charity dedicated to offering practical and sustainable support to the remote village of Jaleshwari and the surrounding area in the eastern region of Khotang. This region is being targeted as one of the most deprived areas in Nepal. NepalRVT works through trusted Nepali intermediaries and is operated entirely by volunteers so has almost no overheads. Funds raised and donated are sent directly to Nepal where they make an immediate and tangible impact on the local community. emergency aid of food and shelter post 2015 earthquake. Solar power installed at the remote Rhupangmare primary school in collboration with The Deepings Rotary in spring 2018. Rhupangmare is in lower Solukhumbu and is three hours walk from Jaleshwari. Pupils at Shree Simele High School watch enthralled by the The Blue Planet shown on the new projector screen. 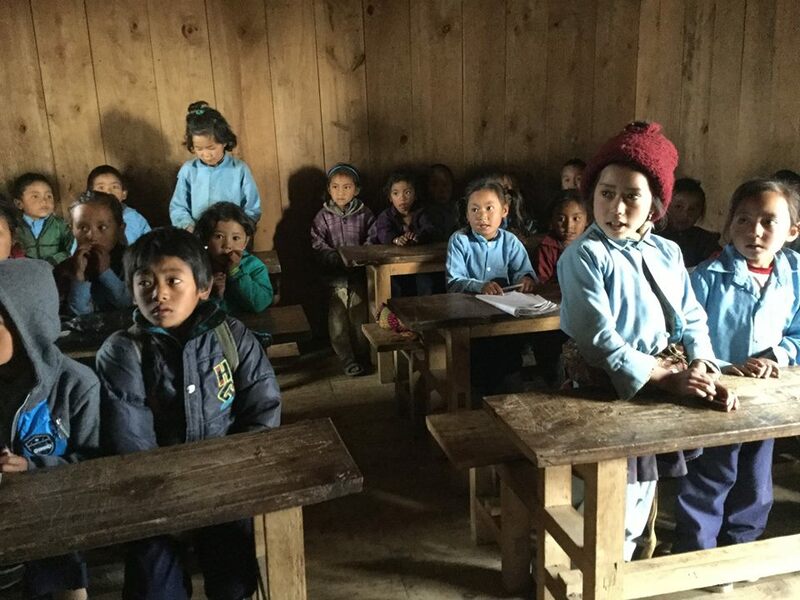 In February 2017 NRVT chariman Chris Burns made the trip to Jaleshwari with trustee Pasang Tamang to donate and set up projectors and educational resources including DVDs and an e-library, all of which can now be used thanks to the newly installed solar power. There is currently no possibility of receiving internet in Jaleshwari so these items were very enthusiastically received. The trip was made by jeep. It is the first time that this has been possible as the road has only very recently been opened. The jeep ride was arduous and took a day and a half although it is only around 300km in distance. Chris visited each of the three Jaleshwari schools and was welcomed with much dancing and ceremony! In each school pupils immediately crowded round to watch to watch DVDs shown using the new projectors. For many of these children this was the first time they would have seen a proper screen and they would certainly have seen nothing of this size before as there is hardly any electricity in Jaleshwari. Most households have enough for one or two light bulbs. December 2016 - Solar Panels now installed. 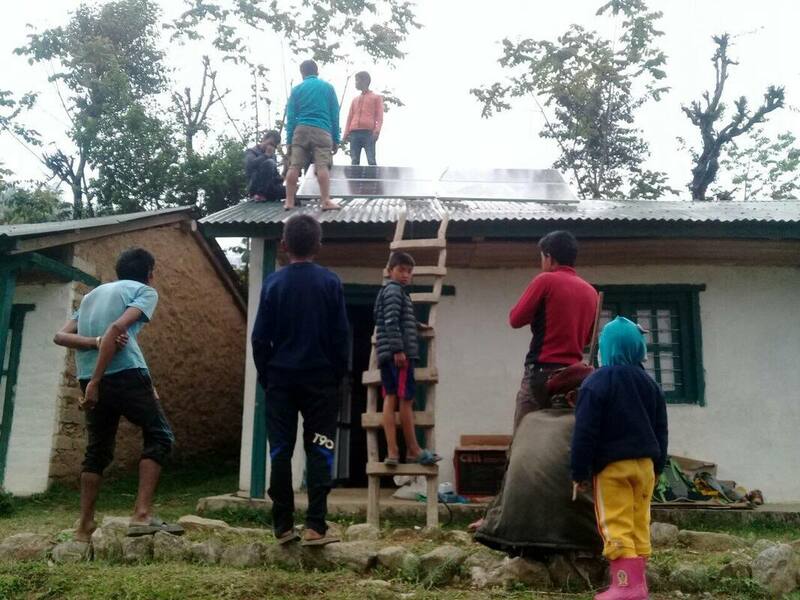 It's a 12 hour jeep ride and a two-day walk to Jaleshwari village from Kathmandu but thanks to the work of our trustee Pasang, Surya Power and local porters the panels have now been successfully installed in three schools; Tuhure Primary, Dibdi Middle School and Shree Simele High School. Solar Power Phase 1- Tuhure Primary School, Dibdi Middle School and Shree Simele High School . Please donate now to NRVT and offer these children the chance of a proper education and increased life opportunities. This early initiative by NRVT entailed donating livestock (mainly goats) to families identified as being in extreme need. Goats provide food security and also the possibility of selling offspring to provide income for school fees, uniforms and healthcare. ​NRVT NGO chairman Pasang Tamang is confident that each family has enough land and water to comfortably keep 3 - 4 goats. The steep terraces mean that the traditional farming of maize and other vegetables is highly labour-intensive. With only very basic tools and equipment it is also back-breaking work. Goats and native cow breeds can graze on the sloping hillsides and provide valuable milk, and, as the flock grows, meat.